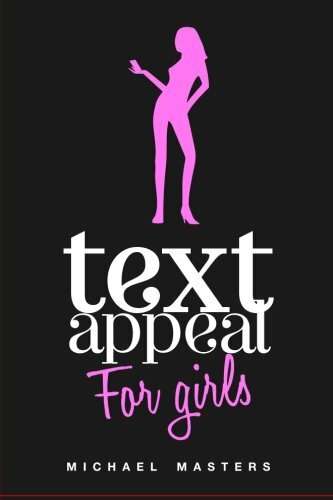 [PDF] TextAppeal - For Girls! : The Ultimate Texting Guide | Free eBooks Download - EBOOKEE! Description: The world is changing, but are you changing with it? Now that dating has gone digital, is it still the same? Clearly not, the digital world is flooded with entirely new problems which rend many new relationships apart. Texting is one of those key areas that is so little understood in digital dating. Textappeal, has all the answers, not only what to avoid, but how to actually use this new medium to your greatest advantage. Any woman armed with this knowledge will certainly have a TON more SATISFYING dates, with a TON more men. Don't underestimate this, I did, and I had no idea what I was destroying and completely missing! Communication is KEY and Mike shares all the secrets. - Kim Hess "Divorce Guru" Wouldn't It Be Great To Know: Why he isn't texting you back!? Why your multiple texts are killing the attraction? Why he is so sexual in his texts? And Wouldn't It Be Invaluable To Understand How to have him text you back right away? How to have him ask you out with only a couple of texts? How to safely flirt with the greatest results? How to have him waiting for your text rather than the opposite??? What If He were the one texting you all of the time?? You could get him to respond instantly anytime you wanted?? You could get that distant guy to pay attention to you?? You could have him finally take notice!?? You finally know exactly what to say every time, to get what you want?? You finally stopped feeling so much anxiety over that one guy because TOO many guys are paying attention to you?? It pains me to see so many girls/women alike making all the same, fully preventable, mistakes via texting. It pains me to hear from women nearly everyday, how they pushed away that one guy that really mattered. The secret to fixing this is remarkably easy, something that you can master in minutes, and wouldn't that be worth it? I unshakably stand behind the concepts in Textappeal, simply because they work, and work fast. You want to fix your problem? Want to fix it NOW? Textappeal has the solution. Thanks for taking the first step to radically improving your dating life. Welcome to the best eLearning video (English, German, French, Spanish language) and many more: Do not forget to check my blog! Updated regularly! No mirrors pls! No comments for "[PDF] TextAppeal - For Girls! : The Ultimate Texting Guide".